Mini Professors are passionate about science and aim to inspire the next generation of scientists through their classes. Classes are designed to explain scientific principles in simple terms and through fun experiments; encouraging your mini professor to explore the wonders of the world around them. 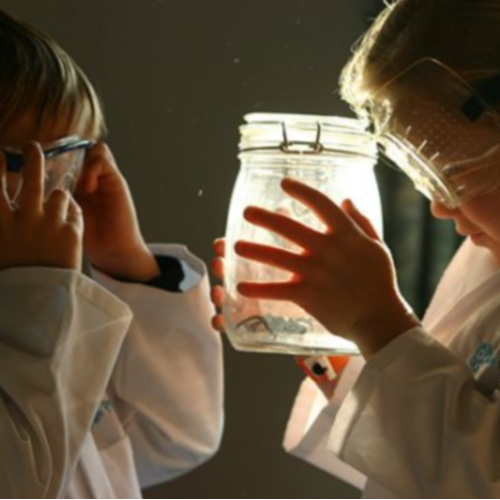 Mini Professors run classes specifically for toddlers and pre schoolers, where your child will get to wear their own mini lab coat whilst learning about science through songs, stories, interactive experiments, getting messy and most of all, having fun! Parents are actively encouraged to join in so you can carry on the learning experience at home with your child. To start developing the young Einstein or Marie Curie in your child, find your nearest class here and book a place using your Little Starts gift card.